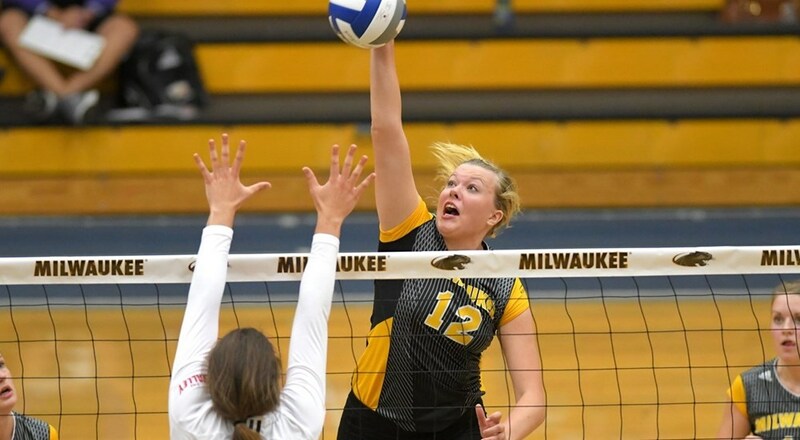 Former UW-Milwaukee middle blocker Bridget Wallenberger is transferring to Miami (FL) for the 2018 season. Wallenberger was a member of the 2017 Horizon League First-Team. Standing at 6’2″ out of Carpentersville, Illinois, Wallenberger will be a junior in 2018 with two years left of play. It is likely she is immediately eligible as she is transferring out of conference. In her freshman year in 2016, Wallenberger earned the Horizon League Freshman of the Year honor when she logged 308 kills (2.91 per set) while hitting .259, 115 blocks (1.08 per set), 45 digs (0.42 per set) and 23 aces (0.22 per set). Wallenberger grew on her success in year two when she totaled 417 kills (3.72 per set) on a .310 mark, 118 blocks (1.05 per set), 63 digs (0.56 per set) and 24 aces (0.18 per set). UW-Milwaukee went 12-18 (5-11 Horizon) last season. They’re left with three returning middle blockers who will all be sophomores for 2018. Miami meanwhile finished 2017 at 22-6 and 15-5 in ACC action. That pushed them into the NCAA Tournament where they made it to the second round. The Hurricanes have one other middle blocker on the roster coming back for 2018 in Madison Dill, who will compete with Wallenberger and any other newcomers for playing time.